Solar power has been widely considered as a great alternative energy source. According to experts, some of the noteworthy advantages of solar power include a) it is one of the most important solutions to the global warming problem, b) it is renewable and provides energy reliability, and c) it is not costly to maintain compared to other energy sources. 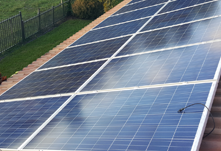 With these aforementioned benefits, many residential and establishment owners are considering having solar panel systems installed in their place. In Broward, West Palm Beach, and Miami Dade County, one of the most trusted solar contractors providing professional solar services is Energy Smart Solar. 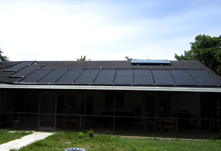 Energy Smart Solar is a family-owned and operated solar solutions company servicing the areas of South Florida such as Broward, West Palm Beach, and Miami Dade County. Specifically, our services include installation, repair, and maintenance of solar power systems. These solar power services are executed by our team of solar power engineers who will make sure that all your solar power needs are addressed professionally. Our solar contractors will ensure that our customers are getting the maximum output from their installed solar power system. These solar power services are executed by our team of solar power engineers who will make sure that all your solar power needs are addressed professionally. Our solar contractors will ensure that our customers are getting the maximum output from their installed solar power system. Aside from our professional solar technicians, our services on installation, repair, and maintenance of solar panels are done using technologically advanced equipment. We also offer solar water heaters, radiant barriers, solar pool heating and more. We provide excellent services to our customers beyond expectations. Again, Energy Smart Solar is the best solar contractor to call for your installation, repair, and maintenance of solar panel and other solar power system needs. Our services are especially available for those based in Broward, West Palm Beach, and Miami Dade County. With the help of our solar power experts, you can maximize the output of your solar power system. For further details regarding the services we offer, you may call us at (954) 228 4902. 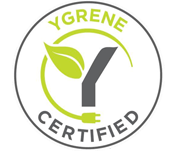 We've got many years of experience in solar technologies to help you tackle all your home solar needs. We offer a number of different options to help you with all of your homes hot water needs. 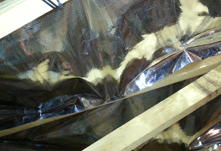 We also offer solutions to reduce heat gains and keep attics cooler. We can engineer a solution to power your entire house and possibly eliminate your electric bill. Solar power has been a great source of energy. That is why if you are a residential owner or a commercial owner and want to know where to find the best Solar energy price Broward, best Solar energy price in Fort Lauderdale, best Solar energy price in Miami, best Solar energy price Miami Dade County, best Solar energy price West Palm Beach, best Solar Heating price Broward, best Solar Heating price in Fort Lauderdale, best Solar Heating price in Miami, best Solar Heating price Miami Dade County, best Solar Heating price West Palm Beach, we, at Energy Smart Solar, got you covered. Offering the best Solar energy price Broward, best Solar energy price in Fort Lauderdale, best Solar energy price in Miami, best Solar energy price Miami Dade County, best Solar energy price West Palm Beach, best Solar Heating price Broward, best Solar Heating price in Fort Lauderdale, best Solar Heating price in Miami, best Solar Heating price Miami Dade County, best Solar Heating price West Palm Beach, we, at Energy Smart Solar is a family owned company. Aside from best Solar energy price Broward, best Solar energy price in Fort Lauderdale, best Solar energy price in Miami, best Solar energy price Miami Dade County, best Solar energy price West Palm Beach, best Solar Heating price Broward, best Solar Heating price in Fort Lauderdale, best Solar Heating price in Miami, best Solar Heating price Miami Dade County, best Solar Heating price West Palm Beach, we also offer installation, repair and maintenance of solar power systems. We only use high technology when it comes to our Solar energy price Broward, Solar energy price in Fort Lauderdale, Solar energy price in Miami, Solar energy price Miami Dade County, Solar energy price West Palm Beach, Solar Heating price Broward, Solar Heating price in Fort Lauderdale, Solar Heating price in Miami, Solar Heating price Miami Dade County, Solar Heating price West Palm Beach. So you are assured that you get the best and affordable Solar energy price Broward, Solar energy price in Fort Lauderdale, Solar energy price in Miami, Solar energy price Miami Dade County, Solar energy price West Palm Beach, Solar Heating price Broward, Solar Heating price in Fort Lauderdale, Solar Heating price in Miami, Solar Heating price Miami Dade County, Solar Heating price West Palm Beach. We have highly skilled and well-experienced technician to offer best Solar energy Broward, best Solar energy in Fort Lauderdale, best Solar energy in Miami, best Solar energy Miami Dade County, best Solar energy West Palm Beach, best Solar Heating Broward, best Solar Heating in Fort Lauderdale, best Solar Heating in Miami, best Solar Heating Miami Dade County, best Solar Heating West Palm Beach. Unlike other best Solar energy Broward, best Solar energy in Fort Lauderdale, best Solar energy in Miami, best Solar energy Miami Dade County, best Solar energy West Palm Beach, best Solar Heating Broward, best Solar Heating in Fort Lauderdale, best Solar Heating in Miami, best Solar Heating Miami Dade County, best Solar Heating West Palm Beach, we are committed to provide you the best and give you your money's worth. Our engineers and technician will make sure that you get best Solar energy Broward, best Solar energy in Fort Lauderdale, best Solar energy in Miami, best Solar energy Miami Dade County, best Solar energy West Palm Beach, best Solar Heating Broward, best Solar Heating in Fort Lauderdale, best Solar Heating in Miami, best Solar Heating Miami Dade County, best Solar Heating West Palm Beach. So if you want to know more about best Solar energy Broward, best Solar energy in Fort Lauderdale, best Solar energy in Miami, best Solar energy Miami Dade County, best Solar energy West Palm Beach, best Solar Heating Broward, best Solar Heating in Fort Lauderdale, best Solar Heating in Miami, best Solar Heating Miami Dade County, best Solar Heating West Palm Beach, visit our website for more details. You can also personally talk to us to know the best Solar energy Broward, best Solar energy in Fort Lauderdale, best Solar energy in Miami, best Solar energy Miami Dade County, best Solar energy West Palm Beach, best Solar Heating Broward, best Solar Heating in Fort Lauderdale, best Solar Heating in Miami, best Solar Heating Miami Dade County, best Solar Heating West Palm Beach. Our engineers and technicians are ready to assist you when it comes to Solar energy Broward, Solar energy in Fort Lauderdale, Solar energy in Miami, Solar energy Miami Dade County, Solar energy West Palm Beach, Solar Heating Broward, Solar Heating in Fort Lauderdale, Solar Heating in Miami, Solar Heating Miami Dade County, Solar Heating West Palm Beach. Learn more about Solar energy Broward, Solar energy in Fort Lauderdale, Solar energy in Miami, Solar energy Miami Dade County, Solar energy West Palm Beach, Solar Heating Broward, Solar Heating in Fort Lauderdale, Solar Heating in Miami, Solar Heating Miami Dade County, Solar Heating West Palm Beach, today! 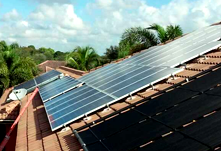 Get free estimates on Solar energy Broward, Solar energy in Fort Lauderdale, Solar energy in Miami, Solar energy Miami Dade County, Solar energy West Palm Beach, Solar Heating Broward, Solar Heating in Fort Lauderdale, Solar Heating in Miami, Solar Heating Miami Dade County, Solar Heating West Palm Beach, now! Free site surveys and estimates. We'll service your system even if it was installed by another vendor. 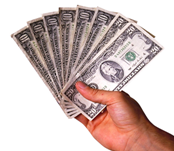 We offer many financing options through our preferred partner.